Speaking with Nash Country Daily as the band heads to Las Vegas for Sunday night’s (April 2) ceremony, Matthew says the band—known for quirky hits like “Break Up With Him,” “Snapback” and “Song for Another Time”—was invited back to this year’s show in a big way after winning the 2016 trophy for New Vocal Duo/Group of the Year. This time they’re nominated in one of the night’s heavyweight categories—Vocal Group of the Year—and they’ll give a full performance instead of the 90-second quick-hitter they delivered last year. It’s just more evidence that the band has broken through to country’s mainstream, and now the nerves are starting to set in. They’ll play ALL of their brand-new single, “No Such Thing as a Broken Heart,” at this year’s show, giving many fans the first taste of their hotly anticipated second album—and the follow-up to 2015’s deliriously fun Meat & Candy. Full of inspiring lyrics and sung with bold enthusiasm, Matthew and company will unleash “No Such Thing as a Broken Heart” on the same stage as superstars like Tim McGraw, Faith Hill, Carrie Underwood and Chris Stapleton, but since they were only asked to do it a week ago, they’re still not even sure what to expect. Luckily, they’ve been playing the new song in their sets on tour. “At least we wont be learning the song on the big stage,” Matthew says. As for their nomination, the lighthearted singer/songwriter figures he and the band have about a snowball’s chance in hell of beating Little Big Town—“the juggernauts” of the field have won the Vocal Group prize at three of the last four ACMs. But that’s fine by him—just hearing their name called in the same breath as those stars will be “mind-bending,” says Matthew. 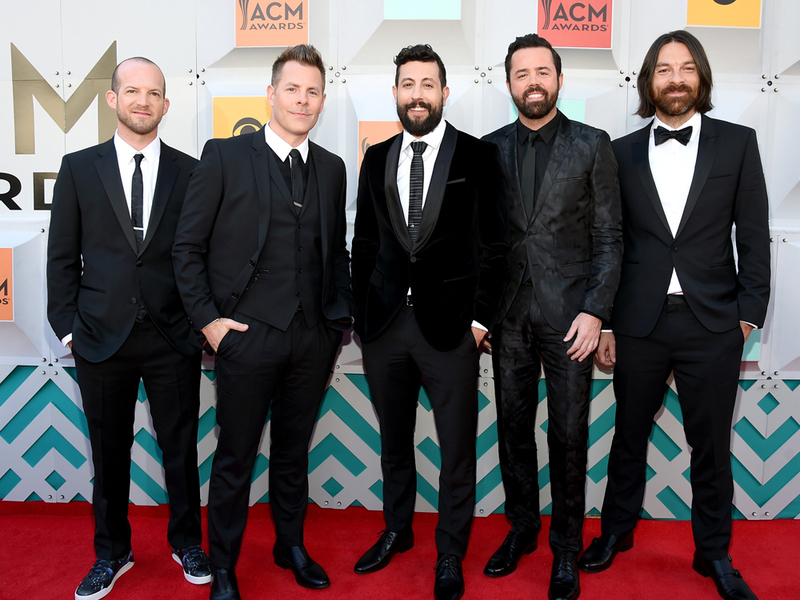 In addition to their ACM Awards show performance, the group has a spot on the ACM Pool Party for a Cause stage on April 1, as well as countless interviews and other appearances, so Matthew says visiting Sin City won’t be much of a vacation this year. But now that Old Dominion has been admitted to the club, Matthew is ready to take care of business. Old Dominion’s second album is tentatively slated for release later this year. Shane McAnally, who produced Meat & Candy, is once again producing Old Dominion’s new album. The 52nd ACM Awards air live Sunday, April 2, at 8 p.m. ET on CBS.